Windows 8 is making the rounds as both the best new thing and worst new thing coming from Redmond. It features a revamped user interface, authentication using a Microsoft account to access cloud services, Xbox LIVE integration, and many, many new features, built from the ground-up. It’s a brand new Windows through and through. However, is it really what people want? The first thing you will notice when you use Windows 8 – the Metro UI. It’s a series of blocks with icons, text, or images that you can click or tap on to access your files, media, and applications. It’s not too much different than what Microsoft has had on their Xbox 360 for quite a while. It’s a beautiful interface, and in the consumer preview, works very smoothly. And yet, despite the looks and smooth animations, the Metro UI is not initially intuitive, and doesn’t really fit into typical computing. It’s a touch interface first, and after some complaints with the developer preview, a standard desktop interface second. 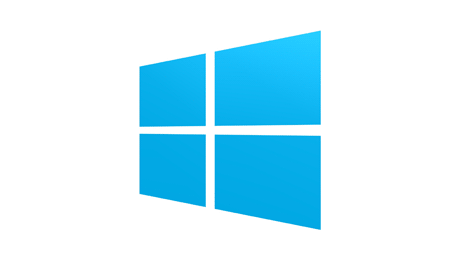 This means that the majority of Windows users are now second-class citizens in this new OS. That’s a massive no-no. Not to mention that it will be highly confusing for non-power users. But why did Microsoft do this? Why subject the typical user to such a terrible desktop interface? One word – tablets. Microsoft has been loosing out to Google and Apple in the tablet market, offering only a mobile phone OS and completely missing out on tablets. Yes, there are tablet PC’s, but those require styluses and are quite expensive. Microsoft wanted to create a powerful OS that was simple to use. On a tablet. And that they did, at the cost of the typical PC user. Yes, the standard desktop is still there, but to do anything that the old start menu did, you have to subject yourself to oversized blocks and hovering over certain areas. Very awkward to use. Besides the tablet market, the Metro UI is also great for a media center PC. Big text, simple UI, and something already familiar to many Xbox owners, Windows 8 should be a great media center OS, right? If you want to pay extra for it. Windows Media Center won’t be included with Windows 8, but will be an addon. The article isn’t clear if it’s just the Pro version not having, or the same across the board, but if the announcement of DVD playback being an addon is any indication, it’s across the board. So it’s doable, but more expensive to do. Back to the tablet, Windows 8 will have a version (called Windows 8 RT) that will run on those processors used in tablets, as Intel and AMD processors are still too power-hungry and hot to play nicely in an iPad-like tablet. But, the ARM version of Windows has third-party browser developers up in arms. Microsoft has denied access the APIs that IE 10 uses to third-party developers of browsers, blocking integration of Google Chrome or Mozilla Firefox into the Metro UI. Hopefully, Microsoft can another antitrust case related to IE. Windows 8. I’m not quite sure if I really want to upgrade to it. It doesn’t quite appeal to me, as a desktop user, and it has glaring problems, as a consumer, and will be giving me headaches, as a technician. Unless Microsoft can bring back the desktop-first approach, bring back the start menu, and make the Metro interface optional, I might consider it. But, for now, Windows 7 will have to do, just like Windows XP when Windows Vista came out.